James Walter Grimston, 1st Earl of Verulam was born on 26 September 1775. He was the son of James Bucknall Grimston, 3rd Viscount Grimston and Harriot Walter.2 He married Lady Charlotte Jenkinson, daughter of Charles Jenkinson, 1st Earl of Liverpool and Catherine Bishopp, on 11 August 1807.3 He died on 17 November 1845 at age 70. He gained the title of 1st Earl of Verulam. [S6] Cokayne, and others, The Complete Peerage, volume XII/2, page 265. [S6] Cokayne, and others, The Complete Peerage, volume III, page 505. [S6] G.E. Cokayne; with Vicary Gibbs, H.A. Doubleday, Geoffrey H. White, Duncan Warrand and Lord Howard de Walden, editors, The Complete Peerage of England, Scotland, Ireland, Great Britain and the United Kingdom, Extant, Extinct or Dormant, new ed., 13 volumes in 14 (1910-1959; reprint in 6 volumes, Gloucester, U.K.: Alan Sutton Publishing, 2000), volume III, page 471. Hereinafter cited as The Complete Peerage. [S6] Cokayne, and others, The Complete Peerage, volume III, page 500. 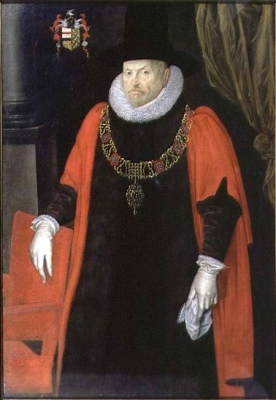 He matriculated at Trinity College, Oxford University, Oxford, Oxfordshire, EnglandG, on 11 June 1623.1 He was appointed Knight on 4 March 1626/27.1 He was created 1st Baron Craven of Hampsted Marshall, Berkshire [England] on 12 March 1626/27, with a special remainder to his brothers, John and Thomas (later extended to a cousin, William Craven, as well).1 He fought in the Capture of Kreuznach in 1632, where he was wounded.1 He graduated from Trinity College, Oxford University, Oxford, Oxfordshire, EnglandG, on 31 August 1636 with a Master of Arts (M.A. 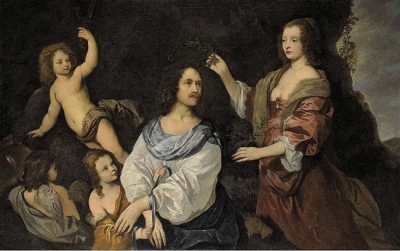 )1 He fought in the Battle of Wesel in 1637, where he was captured by the Imperialists, and ransomed for £20,000.1 He gained the rank of Colonel in 1662 in the Regiment of Foot.3 He held the office of a Lord Proprietor of Carolina in 1663.3 He was created 1st Viscount Craven of Uffington, Berkshire [England] on 16 March 1664/65.3 He was created 1st Earl of Craven, co. York [England] on 16 March 1664/65.3 He was appointed Privy Counsellor (P.C.) between 11 April 1666 and 21 April 1679.3 He held the office of High Steward of Cambridge University between 1667 and 1697.3 He held the office of Lord-Lieutenant of Middlesex between 1670 and 1689.3 He held the office of Lord-Lieutenant of Southwark between 1670 and 1689.3 He was Colonel of the Coldstream Guards between 1670 and 1689.3 He was a commissioner for the government of Tangier in 1673.3 He gained the rank of Lieutenant-General in 1678.3 He was appointed Privy Counsellor (P.C.) from 9 March 1680/81 to February 1688/89.3 His last will was dated from 4 July 1689 to 7 July 1691. [S6] G.E. Cokayne; with Vicary Gibbs, H.A. Doubleday, Geoffrey H. White, Duncan Warrand and Lord Howard de Walden, editors, The Complete Peerage of England, Scotland, Ireland, Great Britain and the United Kingdom, Extant, Extinct or Dormant, new ed., 13 volumes in 14 (1910-1959; reprint in 6 volumes, Gloucester, U.K.: Alan Sutton Publishing, 2000), volume III, page 500. Hereinafter cited as The Complete Peerage. [S6] Cokayne, and others, The Complete Peerage, volume III, page 501. After her marriage, Lady Blanche Craven was styled as Countess of Coventry on 25 January 1865. From 25 January 1865, her married name became Coventry. [S6] G.E. Cokayne; with Vicary Gibbs, H.A. Doubleday, Geoffrey H. White, Duncan Warrand and Lord Howard de Walden, editors, The Complete Peerage of England, Scotland, Ireland, Great Britain and the United Kingdom, Extant, Extinct or Dormant, new ed., 13 volumes in 14 (1910-1959; reprint in 6 volumes, Gloucester, U.K.: Alan Sutton Publishing, 2000), volume III, page 476. Hereinafter cited as The Complete Peerage. [S6] Cokayne, and others, The Complete Peerage, volume III, page 476. From 17 January 1867, her married name became Craven. After her marriage, Hon. Evelyn Laura Barrington was styled as Countess of Craven on 17 January 1867. [S2] Peter W. Hammond, editor, The Complete Peerage or a History of the House of Lords and All its Members From the Earliest Times, Volume XIV: Addenda & Corrigenda (Stroud, Gloucestershire, U.K.: Sutton Publishing, 1998), page 217. Hereinafter cited as The Complete Peerage, Volume XIV. [S6] Cokayne, and others, The Complete Peerage, volume I, page 434, says 's.p.' or without issue. [S6] Cokayne, and others, The Complete Peerage, volume III, page 506.